This last May, I was given the great opportunity of visiting the pastoral wine region of Barolo and Barbaresco for the third time. Now, the term pastoral may be a too simplified description of the region, because the area is actually quite complex and highly civilized. True the pleasant rolling hills of the Langhe are visually stunning; the delightful cuisine of the region is world-renowned and paired with the some of Italy’s most famous wines, the region could be called Italy’s answer to Burgundy. The city of Alba is at the heart of the region. Home to the Ferrero Rocher confectionery company that is responsible for Kinder Surprise, Nutella and would you believe Tic Tac! Certain evenings you can smell the scent of chocolate in the air. Thus the region is rich in all basic human needs to survive, wine, truffles and chocolate. This year I was asked to participate as a journalist with a final assignment to observe and report a few ‘tasting notes’ regarding the ‘Nebbiolo Prima 2015’. The ‘Prima’ is the en primeur/preview of the upcoming release of the new vintages of Barolo, Barbaresco and the Roero, essentially all wines from the black grape of Nebbiolo. On previous visits I was in the midst of sommeliers and wine buyers from some of the most important markets, this time around I was in the midst of many dynamic and highly regarded wine writers, bloggers and journalis many of whom I had met in the past, though brief encounters. I had before me 10 days of tasting Nebbiolo, 10 days of rubbing elbows with some really cool wine lovers/writers from around the world and 10 days in one of my favorite places in the world. My departure from Toronto was fraught with anxiety and stress. I missed my outgoing flight but miraculously was able to arrange a flight on a partner carrier departing only an hour later that had me arrive in Frankfurt a mere 15minutes later than I would have originally landed and in time for my connection to Milan. Phew! Thank you Air Canada! I was happy to arrive 3 days early prior to the main event of the Nebbiolo Prima, for a special presentation of the wines of Nizza – Orrizonte Nizza. Nizza is not only a city (30min from Alba) but is also the name of a ‘top tier’ wine sub-appellation within the DOCG of Asti. The region of Asti is the undisputed original terroir and natural home to the famed grape of Barbera. You ask what does Barbera have to do with Nebbiolo and Nebbiolo Prima. Well before the Nebbiolo grape was properly understood and guided into making the famous wines it now represents today, Barbera was the King of the Hill. Nizza stands for a higher quality Barbera d’Asti than we have ever seen before. The recognition has come so far that Nizza as of 2014 vintage has now been elevated to it’s own DOCG. The DOCG status was awarded not entirely but in part because of a self imposed tighter wine making protocol and ageing regiment than it’s parent, the Barbera d’Asti DOCG. Nizza DOCG as well has now been clearly defined by 18 designated communes/districts of unique soil and microclimate. The ‘Orizzonte Nizza’ tasting detailed the current and the future development of the system of cru Barbera. The opportunity to taste Barbera the way we examine and taste ‘cru’ Barolo or Barbaresco is certainly an interesting proposition. The Associazione Produttori del Nizza presided by Gianni Bertolino (a producer himself for his family Tenuta, Olim Bauda), consists of 37 producers that also include the famed Vietti and Prunotto. At one point in time wines from the Barbera grape were once the most important varietal for Piemonte and throughout the 50’s and 60’s it was the most consumed wine of the era. Prized for it’s soft tannin and bright acidity it had the nobility that Dolcetto lacked and the approachability that Nebbiolo only achieved after years of ageing. Unfortunately with it’s mass appeal the Barbera grape was overproduced and over cropped, creating wines that lacked quality and character. Today and under greater observance, the Associazione and the Nizza ‘cru’ appellation as a rule promotes, a) lower productions levels, b) the inclusion of 3 specific Barbera clones permitted to make the wines of ‘Nizza DOCG’, c) vine age is on average 50/60 years from ‘defined and judged vineyards’ and d) there is a specific barrel regime. The current mission for the Associazione is to present Nizza DOCG as quality wine zone for Barbera 100% as it is an historical and original zone for the grape, The culture of wine and the unique terroir could be seen as both a contrast and a compliment to the marketing of the greater Piemonte wine regions including the Barolo and Barbaresco appellations. If you are looking for top notch Barbera, then you must examine the wines of Asti and those of Nizza. To add further detail to the unique character of the Nizza appellation, the area under vine can also be defined further by the 4 major soil types that are mainly mixtures of Sandy to Marl and Silty to Sandstone. Over these 4 subzones there are 18 different communes. Today with this understanding and combined with altitude, exposure and vine age, we can taste through different Barbera the same way we might examine Nebbiolo from Barolo or Barbaresco from their respective cru zones... provided there is little intervention from the winemaker. Now for my personal opinion and by no means did I rate these wines, I am simply a lover of Piemonte wines and I wish only the best for the producers of the region. The barrel regime put in place as protocol for the top tier of Nizza wines was a topic of discussion. The group of journalists that I was in company with during the tasting did agree that the Nizza DOCG and DOCG Riserva Barbera provided a new and unique definition for quality wine in Asti, though I do believe that the current oak regime interfered with the greater expression of ‘terroir’ and at the very least a balance could be struck with the larger ‘reserve’ flavours and those of the fresh ‘normale’ or ‘superiore’. I actually found that the same producers that had good ‘Nizza DOCG wines’ produced exquisite Barbera d’Asti Superiore. Superiore is actually one ‘step down’ in perceived quality.In conclusion, the wines of Nizza had this interesting duality. At the same time the producers who were getting it right or those who benefitted from great vineyards combined with the right soil type had amazing entry and mid-level wines, but the barrel regime often confused many of their top tier wines. I will admit it the debate is certainly a matter of taste. 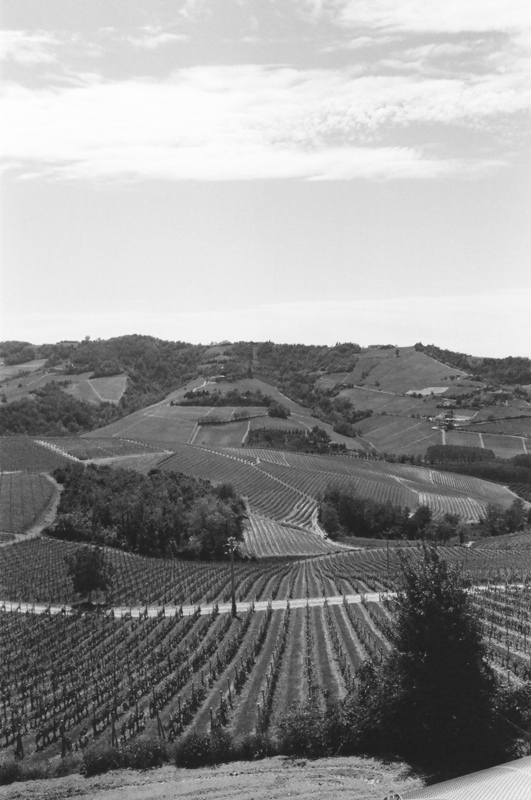 To their defense many of the Nizza and Nizza Riserva wines were quite bold and powerful. Not at all what I expected from Barbera and therein lays the question. At the end of the day it was a great pleasure to bare witness to the progress of the renaissance of Barbera, one of North Italy’s greatest varieties, making some of the most important food friendly wines the Italy has to offer. 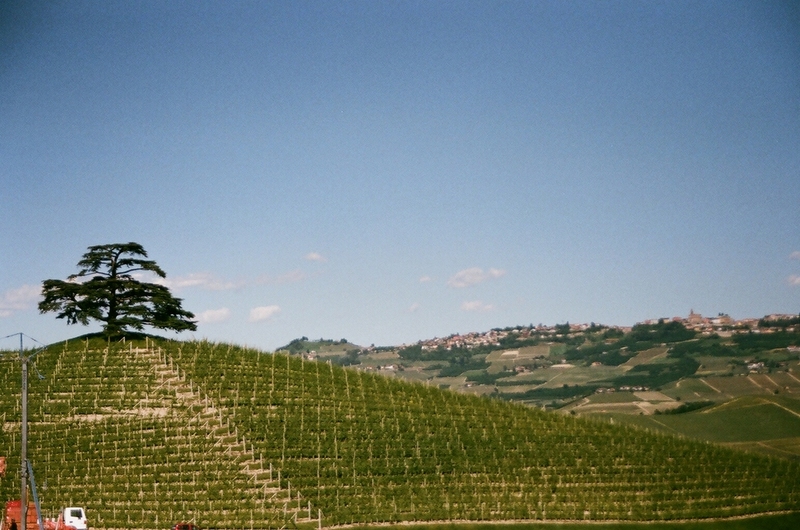 Barolo – Italy’s answer to Burgundy. Although many are aware that Burgundy is the realm of the exalted Pinot Noir – in the grape world a king of kings – few realize that Italy has its own hierarchy and the king of the Italian hill is a grape called Nebbiolo. In many ways the two are brothers from another mother, as similarities between them abound. Like its French brethren, Nebbiolo has similar if not identical special needs in terms of growth conditions: In the vineyard and when being transformed into awesome elixir, Pinot Noir elicits and requires an almost holy respect and admiration. Pinot Noir can be very site specific in that it performs well when fine-tuned to the correct environment. As a result, the great vineyards of the Cote d’Or are rightly famous for producing some of the world’s greatest wines. However, Pinot Noir does not show quite the same variations of expression when it is raised outside of Burgundy and, not unlike Barolo of the Langhe in Piemonte north Italy, Nebbiolo doesn’t quite show itself in the same expression when raised outside of its natural home. Pinot Noir vines are rarely ever planted at the top of the hill, as with Nebbiolo of Barolo (and Barbaresco) the hill top is a touch too cold for the sensitive skin of the grape, nor it is planted at the base of the hill where the warm and humid air in addition to the resulting run-off of water collect, produce an overripe grape that is too rich to produce the exalted and enchanting wine. They, Pinot and Nebbiolo, both prefer the middle section of the slope at roughly 250 to 350 metres above sea level (m.a.s.l). Here the soil is well drained of water yet adequately supplied, and the soil compositions and layers provide enough diversity and variation to add to the ‘formula of terroir’. The aspect of the slopes provide the ideal amount of exposure and intensity to the sun’s radiation and photosynthetic energy, while enough cool air runs down from the top of the ‘cote’ or ‘bricco’ providing relief from heat and allowing balanced acidity during the growth cycle. The division of quality and the complex understanding of cru wines are equally established and just as diverse as the families that make the wines, who often go back many generations. In fact, it’s interesting to note that the official bottle of each region shares the same shape and style and that both wines are drunk from the same shape bowl. There are not many wines around the world that share such similarities. I might theorize that one key difference between the two is that Burgundy has had a massive head-start. Its multi-centennial history of focused viticulture has formed a harmony of the land, the vine and the wine resulting in the holy anthem that is Burgundy. Although Barolo’s history is also extremely interesting, I have learned that grape growers and winemakers have only really begun listening to the vines as recently as the middle of the last century. However, let us continue with the topic of Nebbiolo and enter the Langhe Hills in the land of Barolo. So numerous and vast are these hills that the slopes move in all directions like a huge circular labyrinth of vines. Whereas Burgundy’s Cote d’Or, dare I say it, is more uniform if not linear in a north to south orientation, in Barolo, the land is cut in many directions, resulting in variations and differences in soil type from one commune to the next and often from one cru vineyard to the next. In Burgundy we can taste through the clear transitions from north to south, but in Barolo the switch can be striking and unexpectedly beautiful from one curve of the hill to the next. This is the challenge that students and winemakers of the past and current generations are working to better understand and to define. As one of the finest wine regions of the world, the foundations and blueprint for Barolo are magnificent and will continue to evolve and develop as we continue to listen, feel and taste these wines. The recent history of Barolo tells a tale of changing styles and of the various personalities behind the wines. As in every major wine-making region there is a healthy argument over the ideas of ‘traditional wine making’ versus the mentality of the ‘modern styled’ wine. The so-called traditionalists hold fast to old methods of vinification and barrel regime (as a very simple description), preferring long macerations and very large casks of neutral oak to create wines with that classic orange bricking hue and dry fruit and ‘truffle’ aroma. The ‘modernists’ on the other hand, prefer to accentuate the fruit character of the grape with shorter macerations and the use of the ‘infamous’ small french barriqe, which is toasted in such a way as to give Barolo the weight and muscle to compete with the flavours of the ‘NEW’ world of wine. Another point of view is that this is simply an attempt to create a new template for Barolo. In the music world, when rap music, or “hip hop” as it is correctly called, entered the audio-consciousness of the masses, many praised it as a new voice while an equal number of the ‘established’ hated it. Today, like “hip hop”, the modern winemaker is here to stay and has created a new standard for the world. But like any good music and any good wine, balance is the key, and harmony is of the essence. I wouldn’t listen to hip hop or any sort of music on a headphone that is too small or on an improperly equalized but expensive loudspeaker. Old skool barrel or new-skool barrique? Understanding the music of the land and the vine and how to process the message in the cellar can produce many beautiful renditions. No Barrique...No Berlusconi. The phrase can be found on the label of one of Barolo’s most iconic and important producers. It was used not only as a political statement against Silvio Berlusconi’s tenure of madness in Italy in the late 90s and early 2000s, but also a plea for restraint in Barolo wine making. Mascarello is traditional but not conservative; however, his wines and his message excited so much attention that in 2001 Italian police raided a wine shop and confiscated bottles of his wine because they displayed political propaganda in ‘unauthorized locals’. Teresa Mascarello is the current head of the cantina and she rules with a gentle yet direct hand and intent. Trained by her father in wine making, but also a student of language arts, Teresa continues to be an ever-present constant in the changing world of Barolo. Against the tide of ‘Parker-ized’ wines, the Mascarello family believes ‘the hand of the wine maker should be invisible’. Furthermore the Mascarello family works by the rule that no single ‘cru’ vineyard can produce great vintages every year and that the ‘greater’ expression of Barolo overall would be missed unless ‘cru’ vineyards were blended. Mascarello does not make any ‘single vineyard’ wines. As early as the 1930s when they started making wines, the family purchased vineyards in the very best cru specifically – Cannubi, San Lorenzo and Rue – where balance and the music in their Barolo was achieved by blending. The strength of character in 3 hectares, 1 in each ‘cru’ allowed a Mascarello wine to capture the harmony of each in one wine – co-fermented and assembled together. No perfect wines, just honest wines, each reflecting the character of the vintage. On this visit we tasted the 2011 Barolo which had various layers of red to dark fruit to floral aroma. This wine was warm and inviting spiced, minted. The pine-forest floor and earthy flavour gave way to fine tannin. Compared with the 2010 which had a cooler and brighter fresh berry profile. It was unique in its texture, warm and sweet berry palate certainly a reflection of the great vintage. I would add that Mascarello also produces, Freisa (a.k.a Freisa Nebbiolata said to be the closet relation to Nebbiolo) and a Nebbiolo (a combination of declassified Barolo and younger vines). On three occasions in the last five years I have had the privilege of visiting the charming Mascarello cantina, and with each visit I am continually awed and inspired by the quality and character of its wines. Tasting of a 1986 Mascarello, one of the last wines made by Bartolo Mascarello himself. ‘The Story of a Revolution’ is the title of the 2014 documentary film showcasing the real life efforts of a group of winemaker friends that in the 80s to late 90s pushed the limits of what the wines of Barolo were meant to be. They were dubbed the ‘Barolo Boys’. As the world of wine was evolving with ‘riper and approachable flavours’, Barolo was ‘steadfast’ in its adherence to a classic old world style. The Barolo Boys recognized the potential of Nebbiolo, and with the aid of technology, studied innovations used in other wine regions of the world. They were spurred by the desire to solidify the position of Barolo in the world of fine wine and pushed for modern approaches to the sales, marketing and placement of their wines. Along the way, of course, they evolved or, one might even say, revolutionized how Barolo could be made. 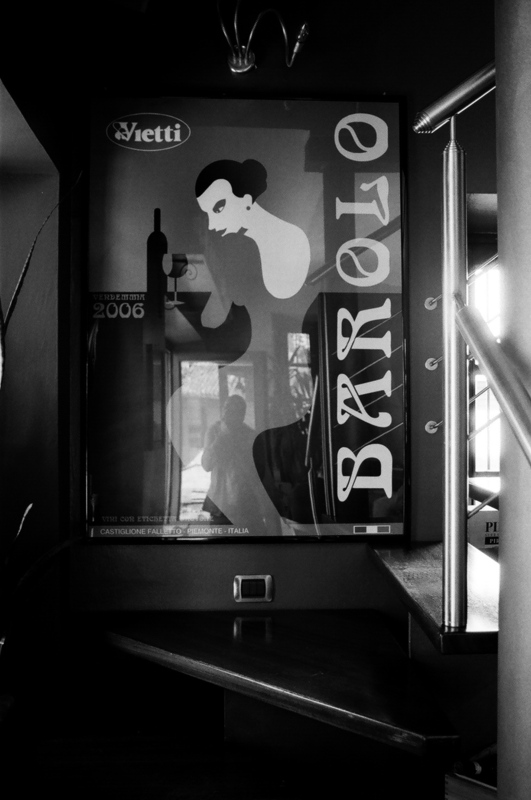 However, a key figure in the Barolo Boys was not a ‘boy’ but a woman – Chiara Boschis, and the beautiful surprise to this story is that she is located across the way from the Cantina of Teresa of Bartolo Mascarello; worlds apart in wine-making philosophy, but exactly the same in the desire to make the best wines of the region for the world! Chiara Boschis, the owner of Chiara Boschis di E. Pira e Figli took over the reins of the Pira estate in the late 80s. After his sudden death the estate of Luigi Pira had no male successors, and his sisters, with too many interests in other fields, sold the small estate to Chiara Boschis, a close family friend. Chiara, guided by passion, determination and an informal training in wine along with the assistance of her brother, turned the Azienda into one of the most important modern wine makers of the regions. She wanted power and elegance and pristine expression, which meant absolute precision in the cellar to produce the wines she sought to present to the world. She befriended other like-minded winemakers, such as Elio Altare and Roberto Voerzio, among others, and thus the Barolo Boys were created. I tasted through four of her 2011 Barolo, the first was the Cannubi from the famed vineyard in Barolo. The second was the ‘Via Nuova’, which until recently was sourced from a single vineyard located up and behind the cantina. Today’s ‘Via Nuova’ is a blend of six different vineyards from Barolo, Monforte and Serralunga. The third is Mosconi a rather recently added single vineyard located in the commune of Monforte d’Alba, and the last was a 2005 Cannubi. All the wines had a richness of creamy and ripe dark red and blue berry fruit (let’s call it currant) over vanilla and spice, with some hints of lilac and lavender. In the 2005 Cannubi it was interesting to see how the wine had evolved into mint and sweet herbs. The tannin and structure of Nebbiolo was maintained and by no means deviated from type. However, I would call the wines quite epic and exemplifying the notion that Barolo can take a step in that direction. Chiara’s current drive is to convert all of Cannubi to organic vineyards, either certified or working with guiding philosophy. As of 2014, Chiara Boschis had attained the organic certification, and so far she has converted 21 out of 26 Cannubi producers to this way of thinking. As Barolo was recently granted Unesco World Heritage status, it would be remarkable to move Cannubi, the heart of Barolo, towards a more stable and sustainable method of viticulture. This new philosophy could involve producers working together in unity and strength for the region: a modern revolution, perhaps, or simply an evolution of Barolo.